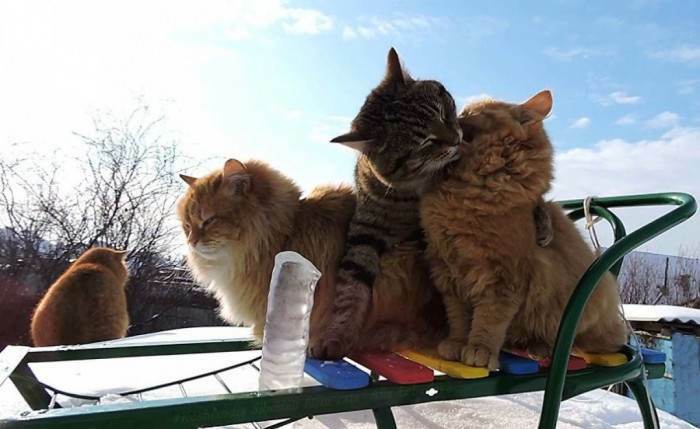 Cats are not for everybody. 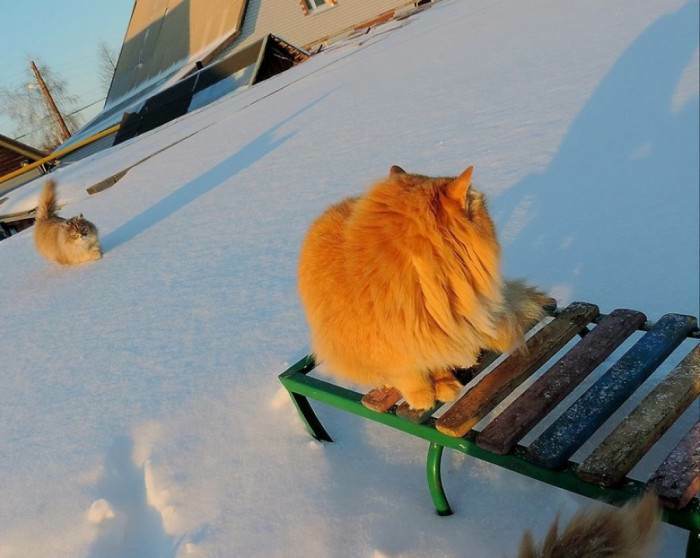 They definitely are a lot more independent than dogs, for example. 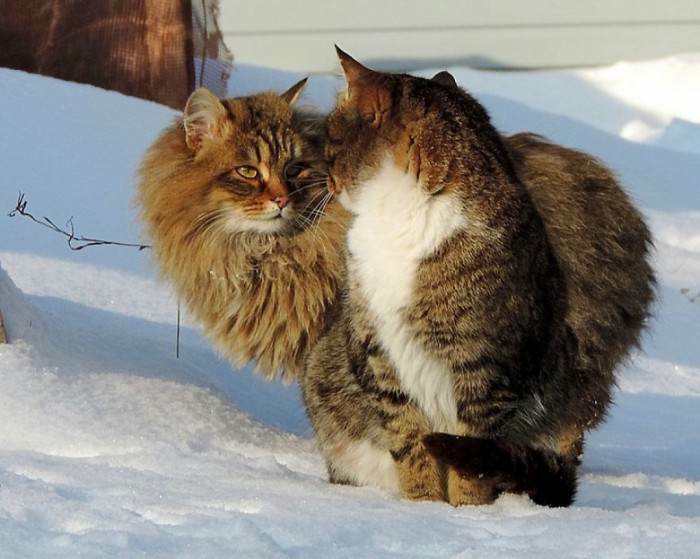 They want attention, but they want it on THEIR terms- no one else's. 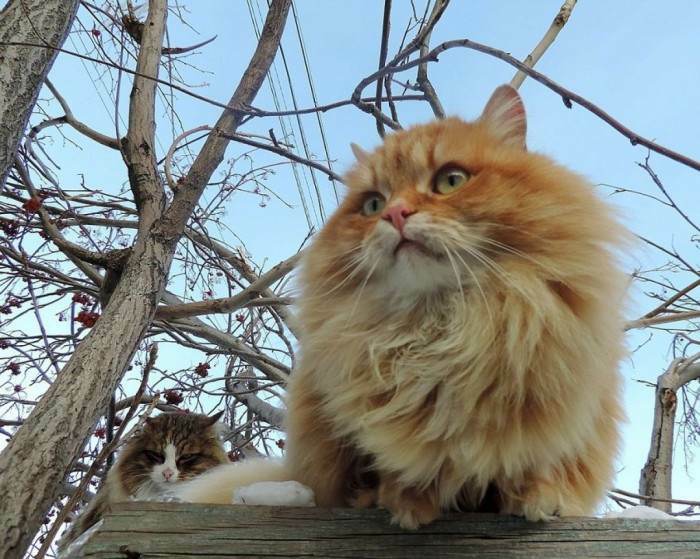 They want to be held when they want it and they want to go where they want and do what they want all the time. 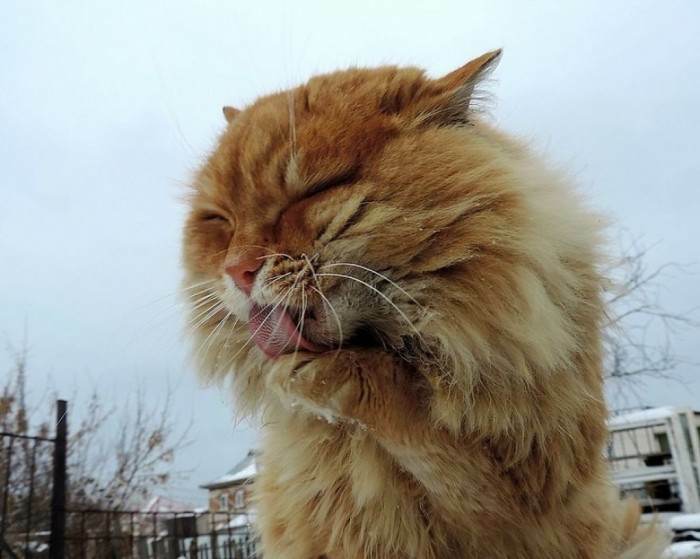 Some people love this kind of low-maintenance animal though. 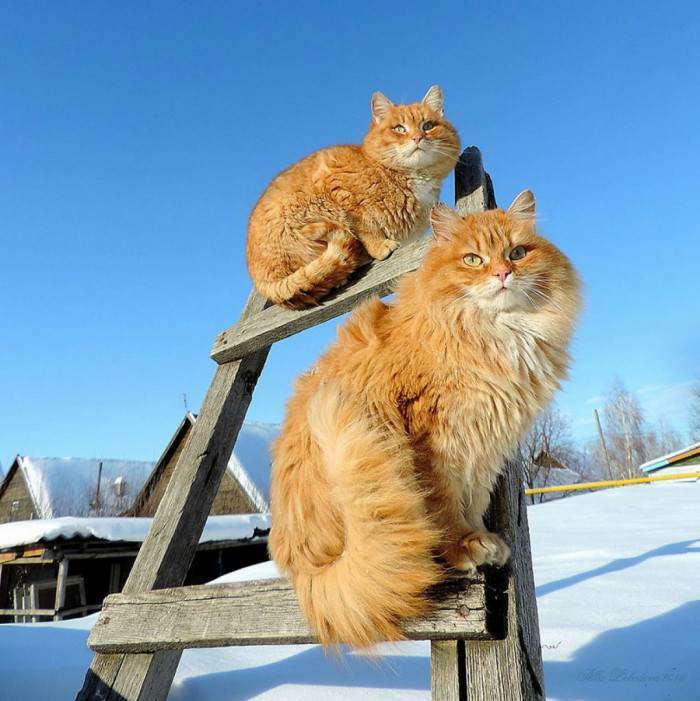 A good example is Alla Lebedeva and her husband, Sergey. 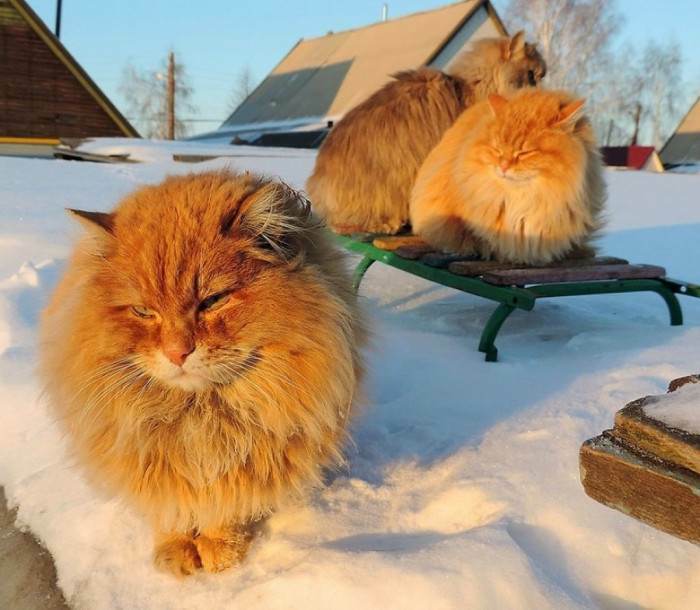 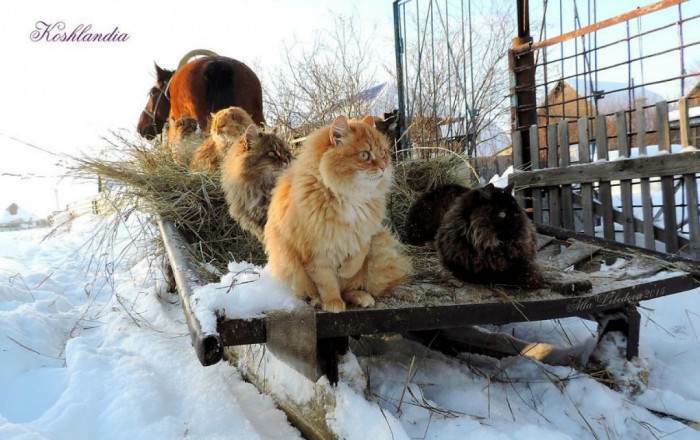 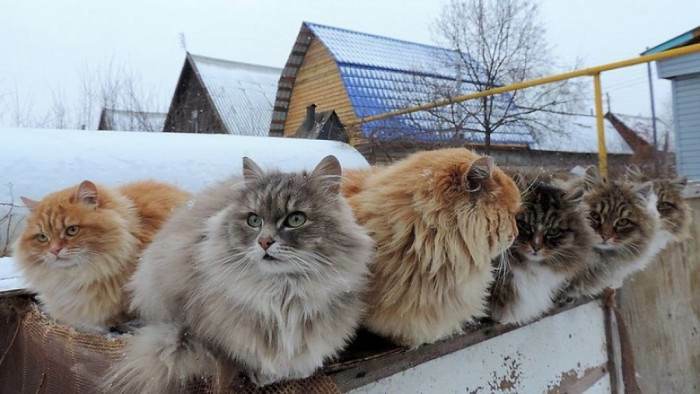 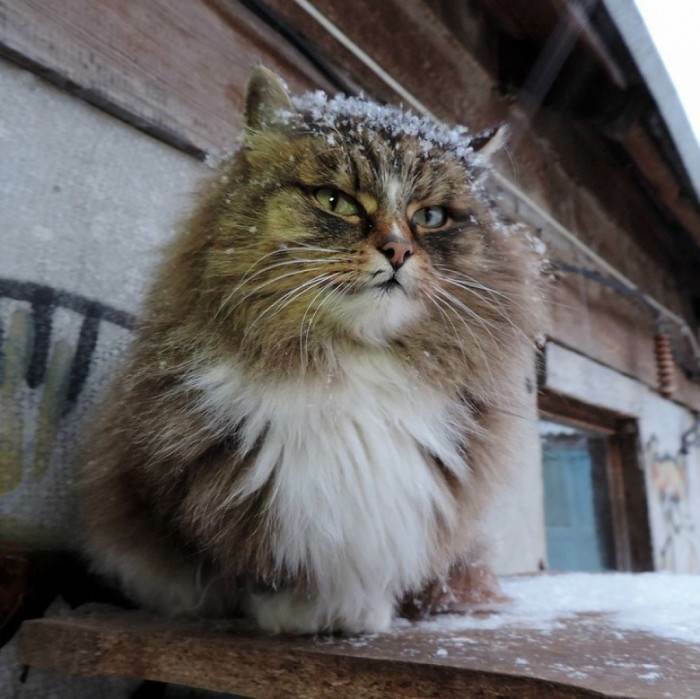 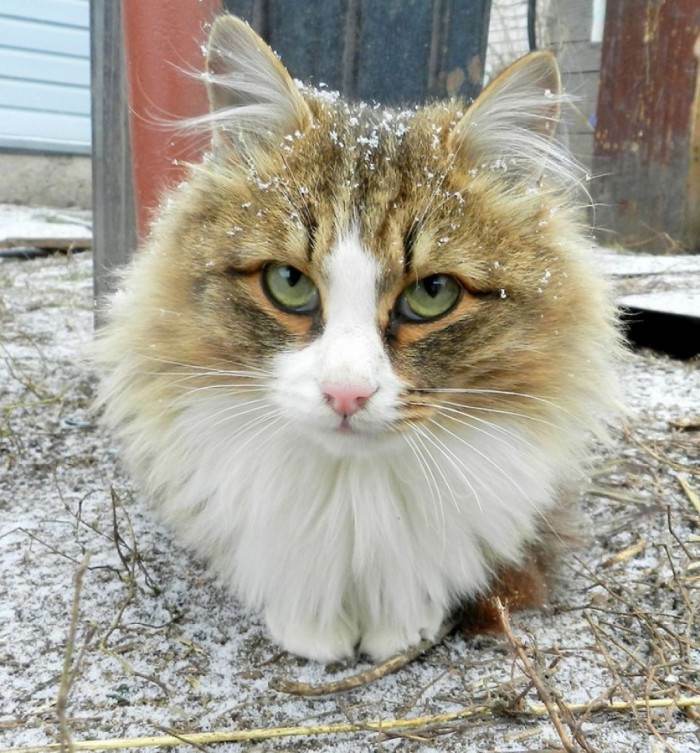 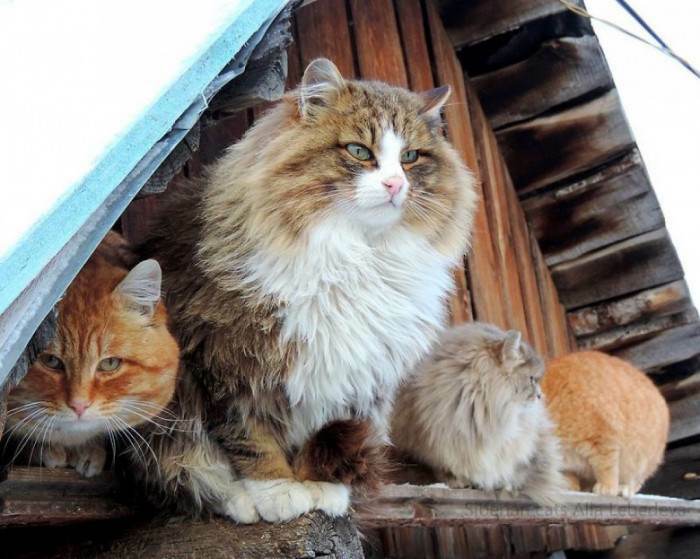 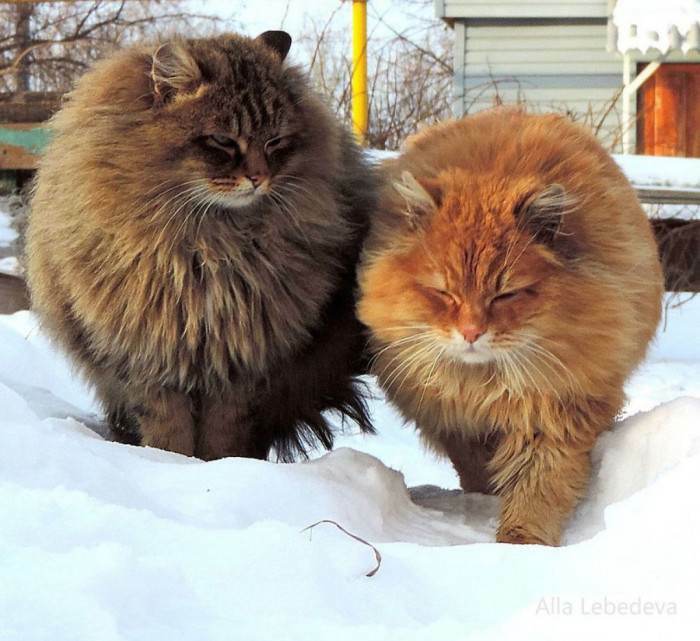 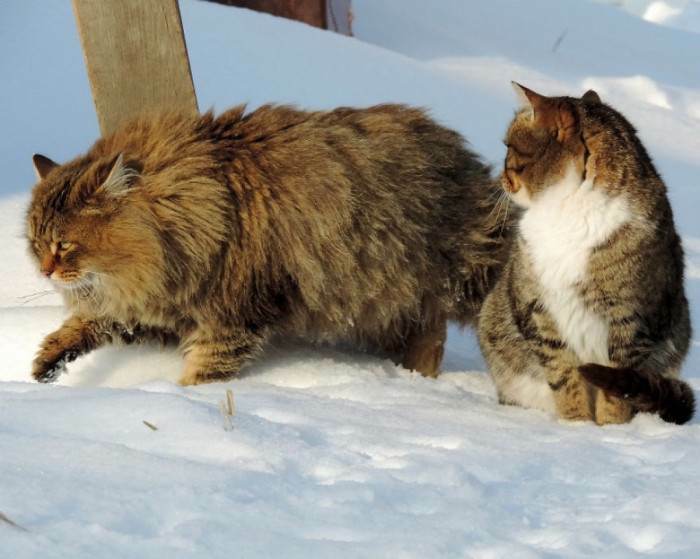 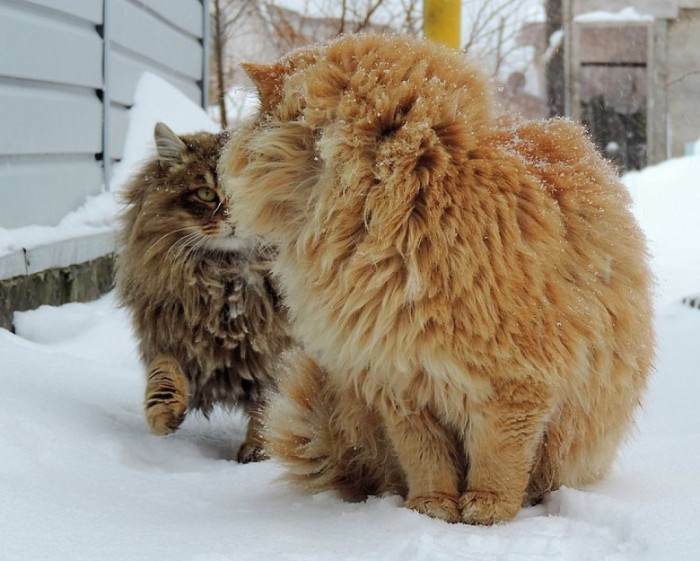 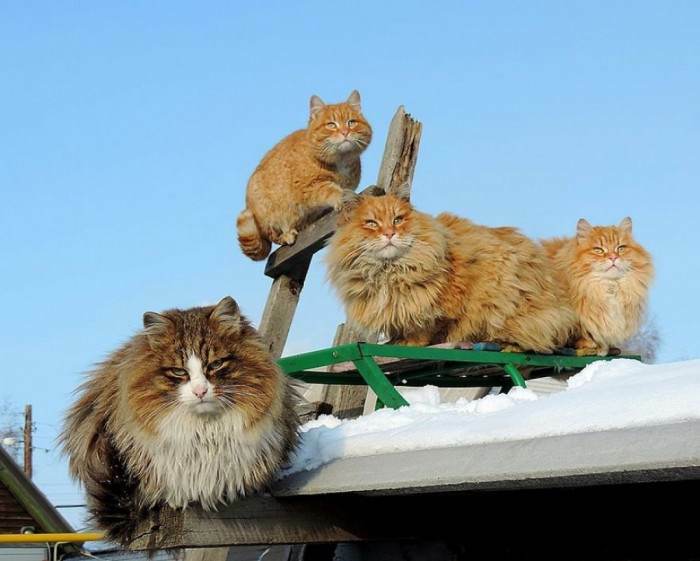 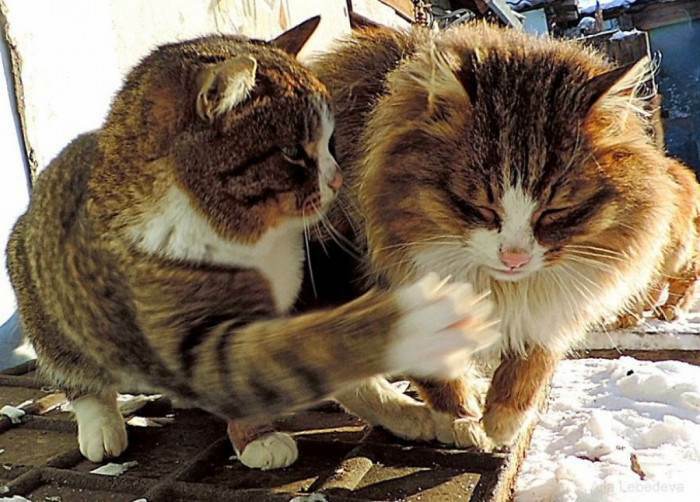 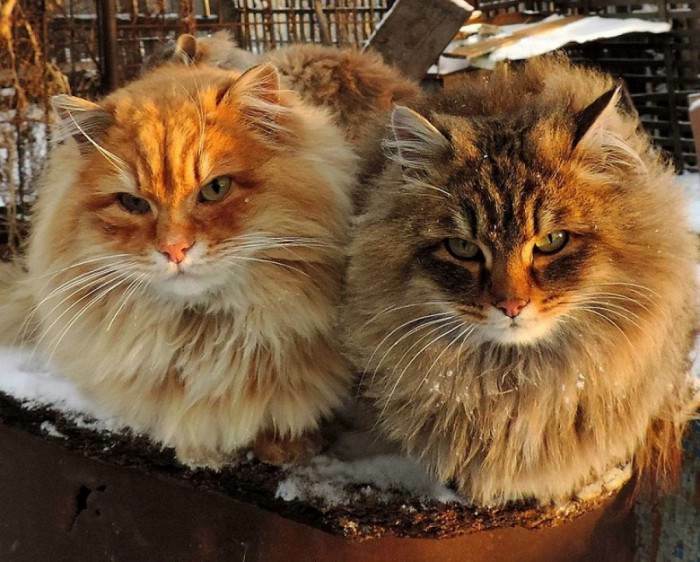 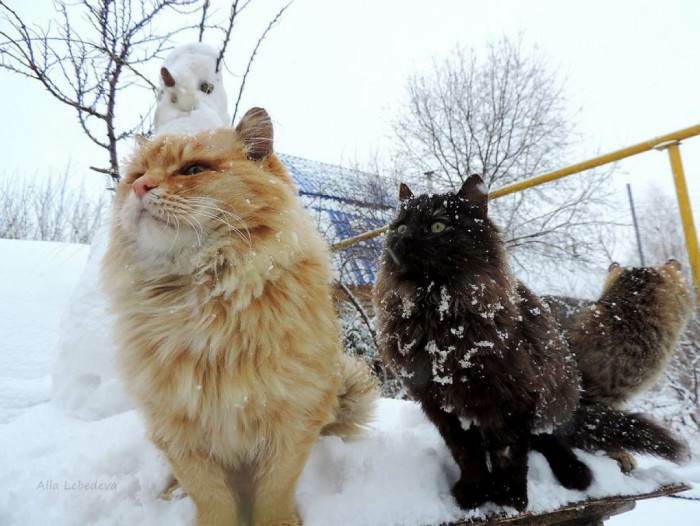 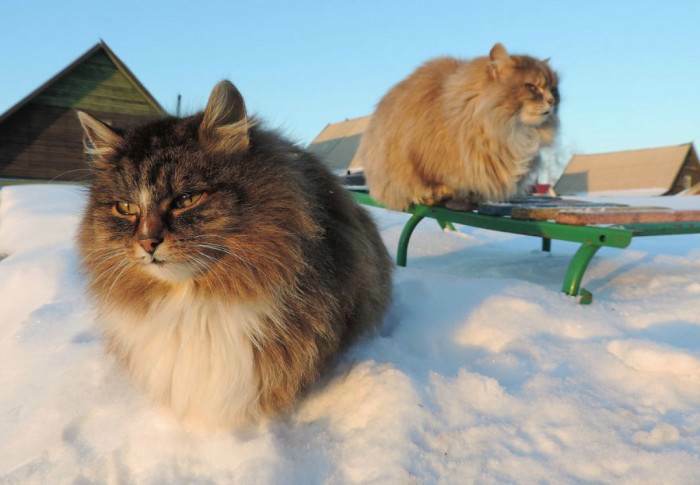 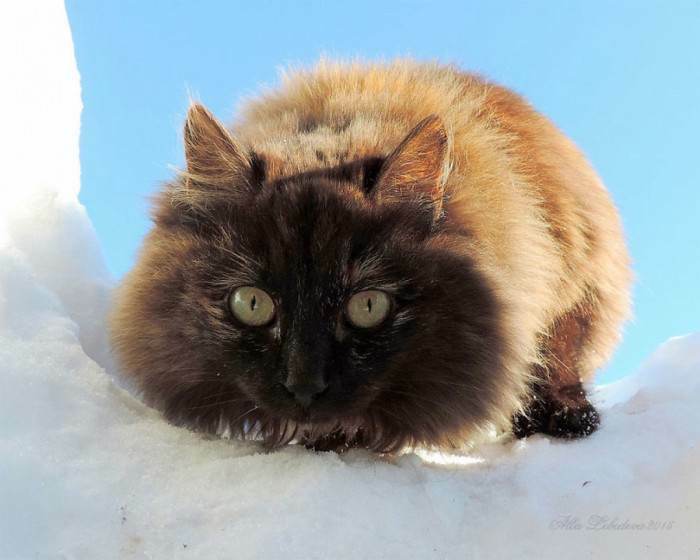 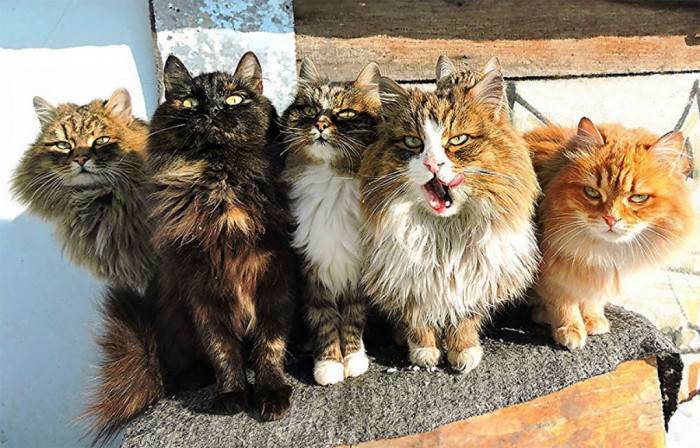 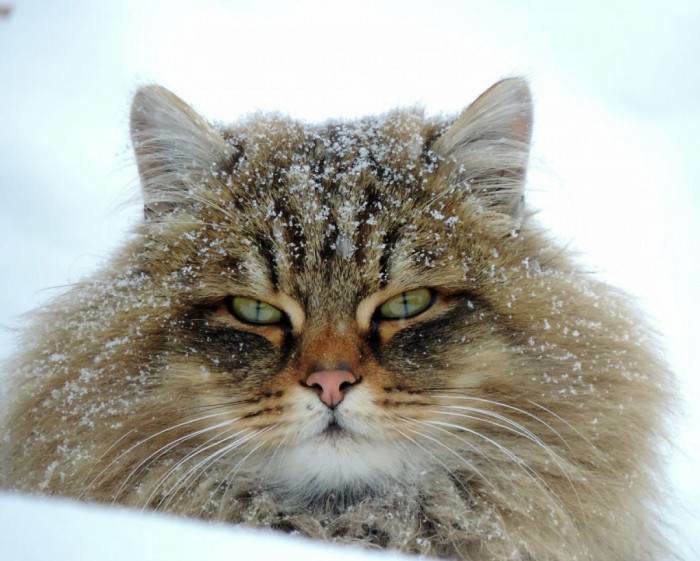 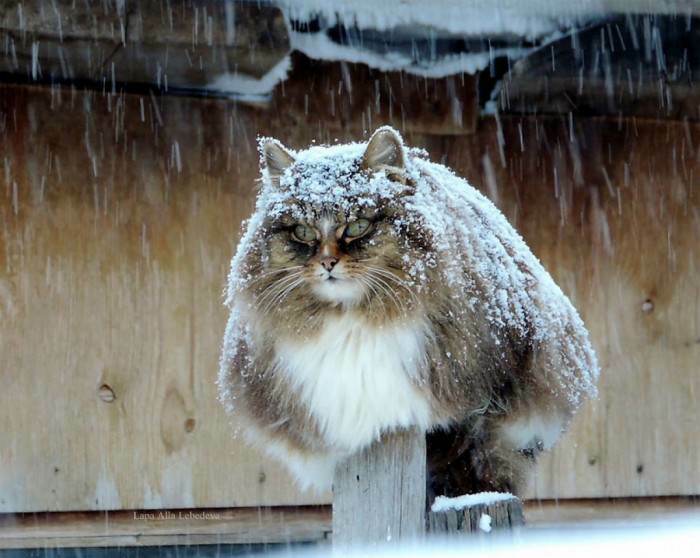 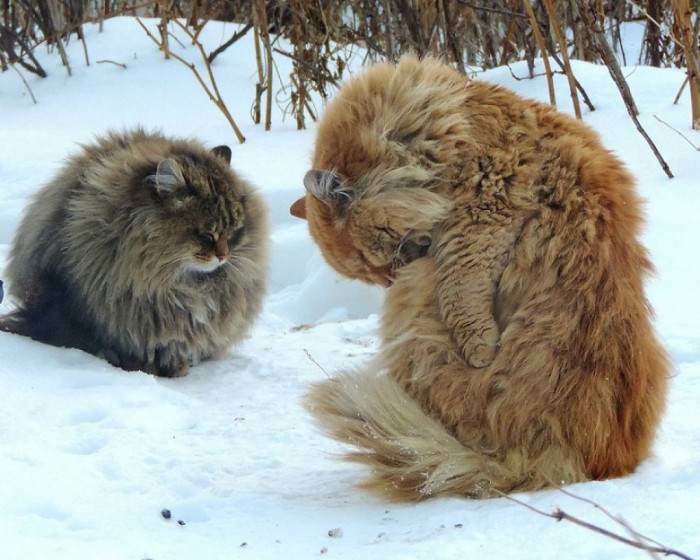 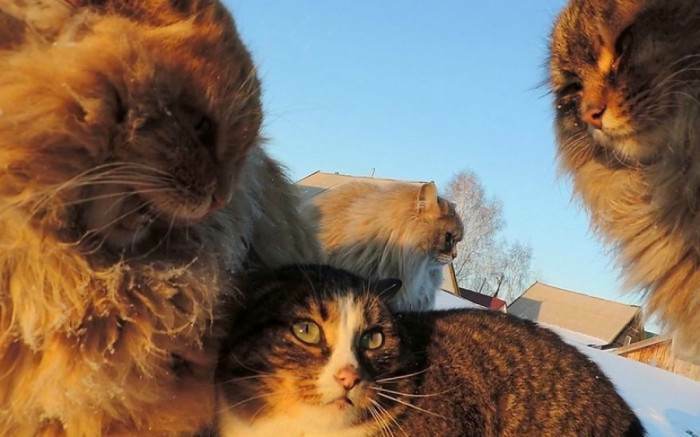 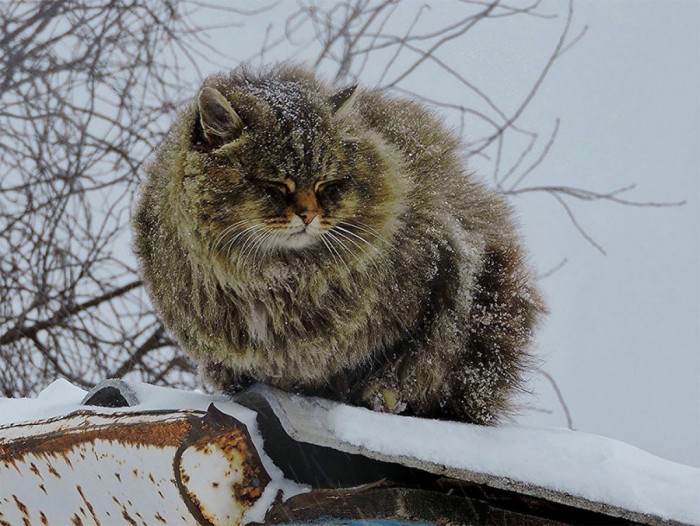 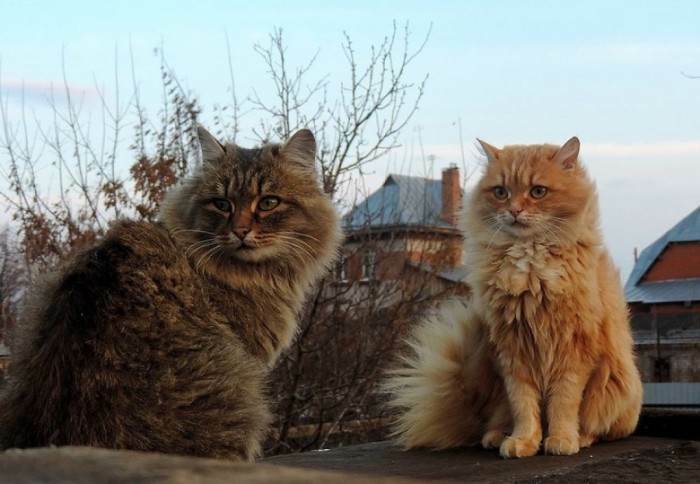 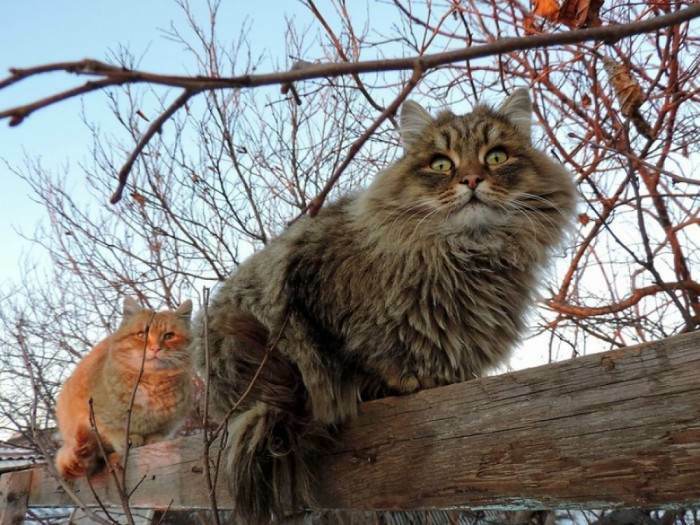 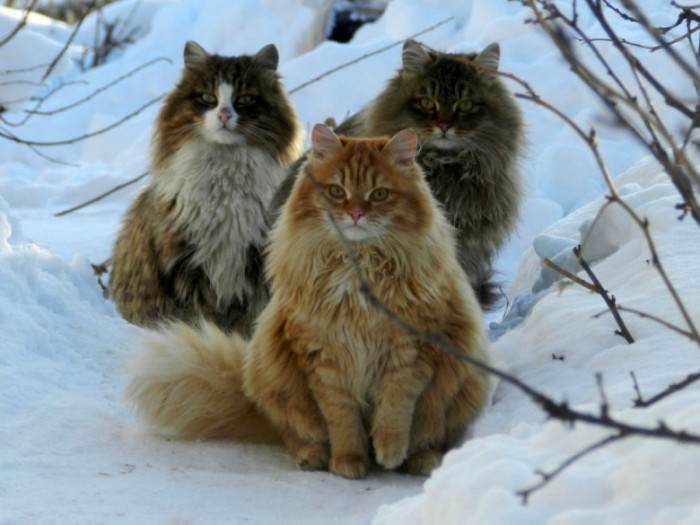 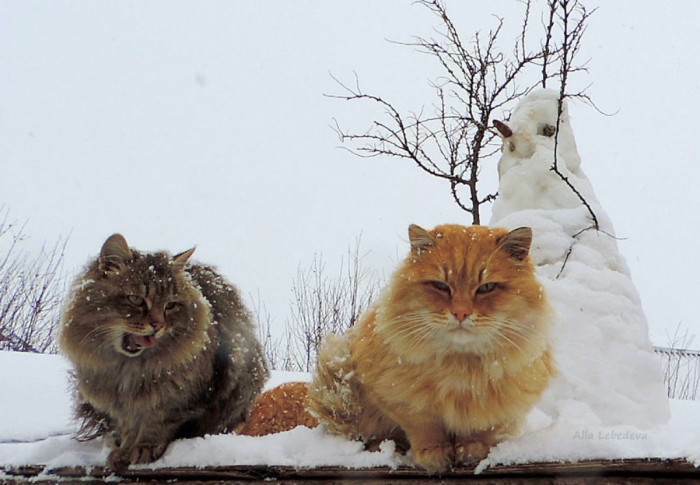 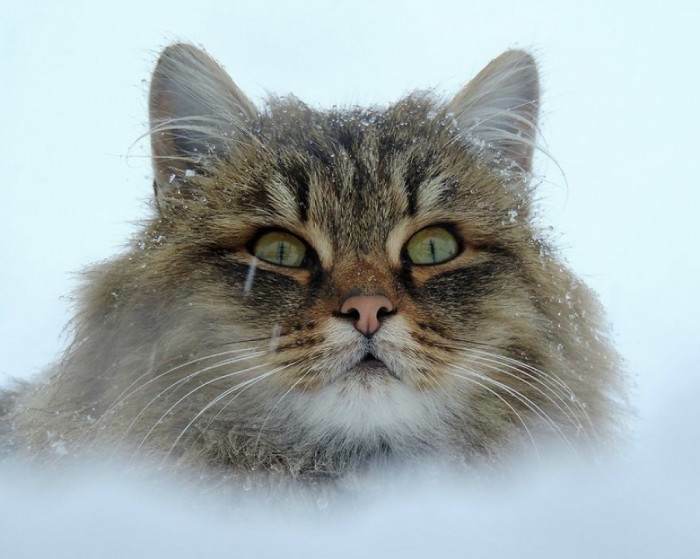 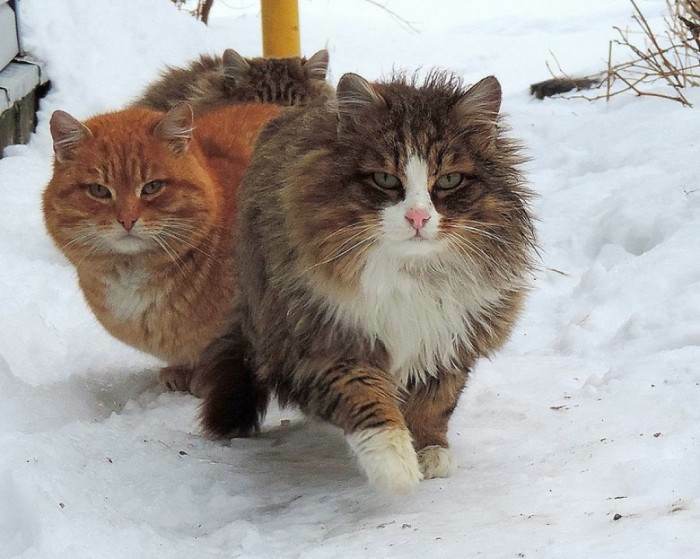 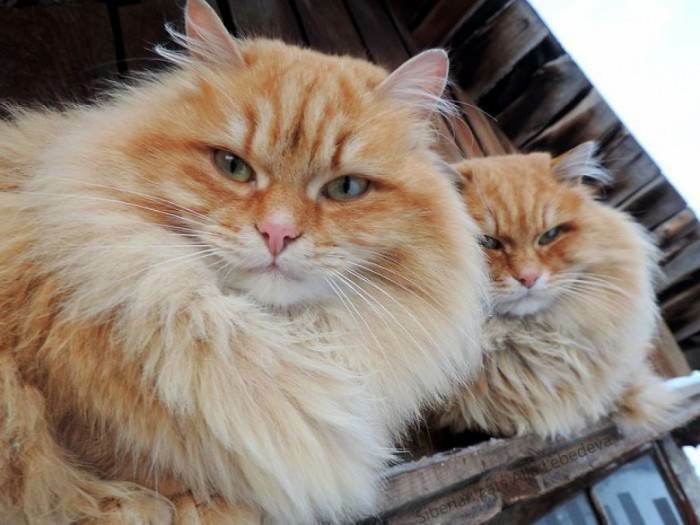 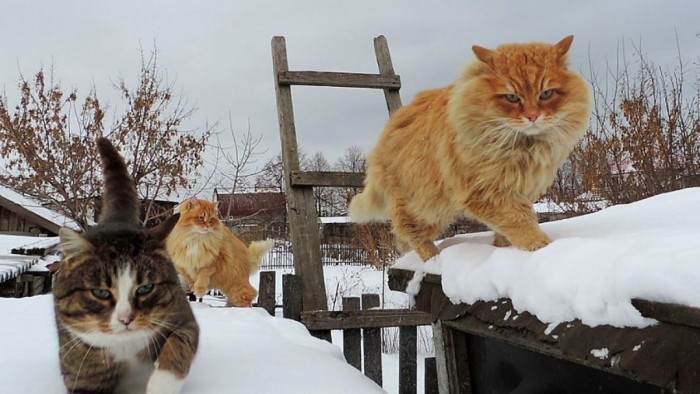 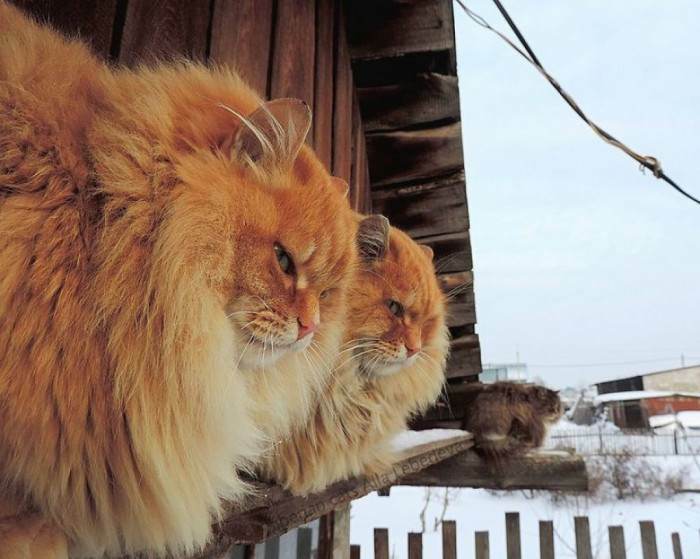 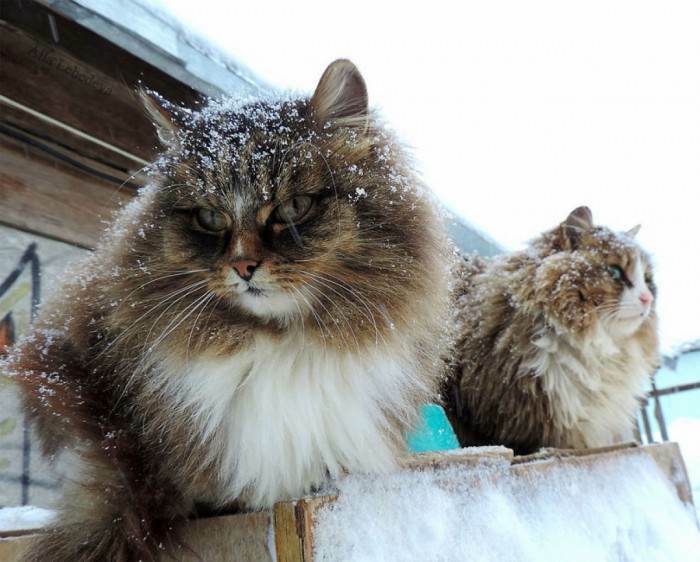 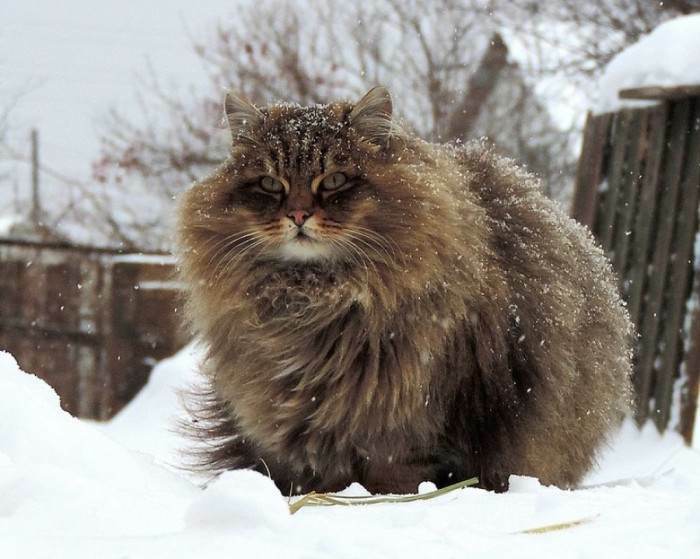 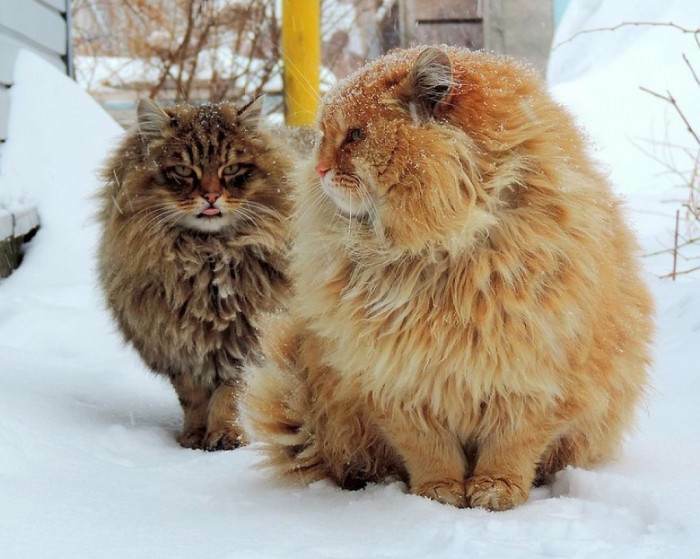 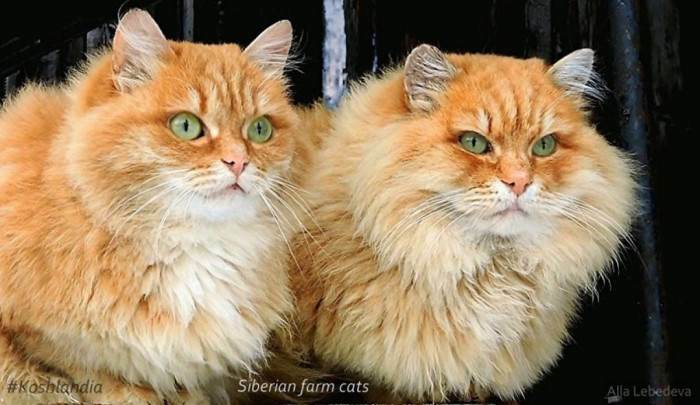 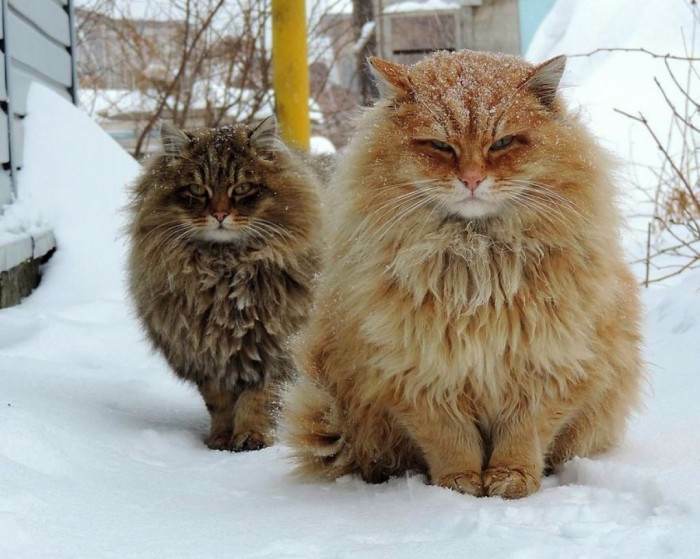 They are farmers in Barnaul, Siberia, and they have dedicated their free time and much of their farmland to raising adorable Siberian farm cats. 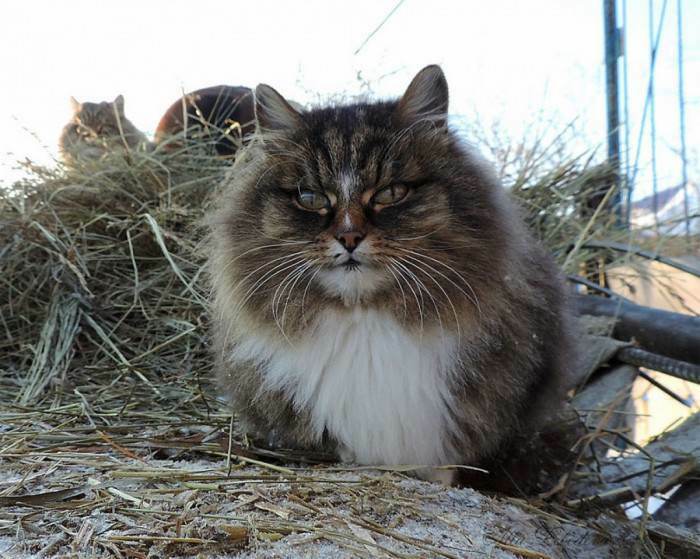 When people ask Alla how many cats she has, she responds: "a million, maybe more." 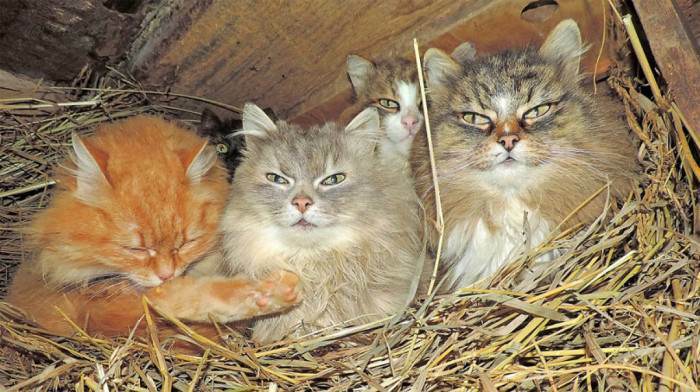 She adds that "they live in the henhouse...They have three little bedrooms there where can they sleep according to how they feel. 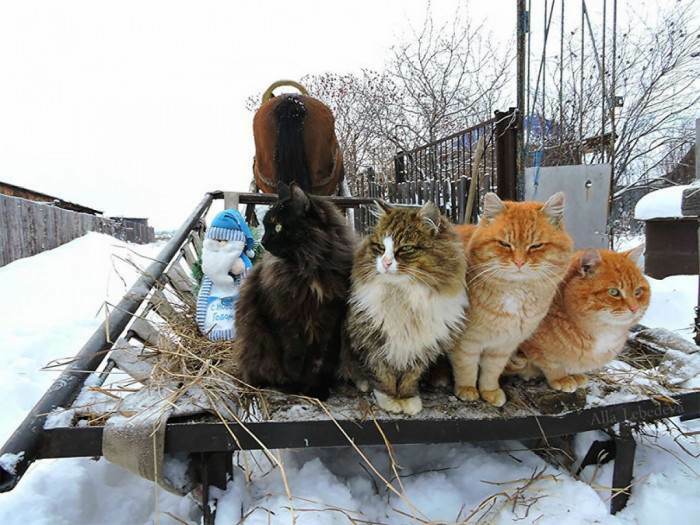 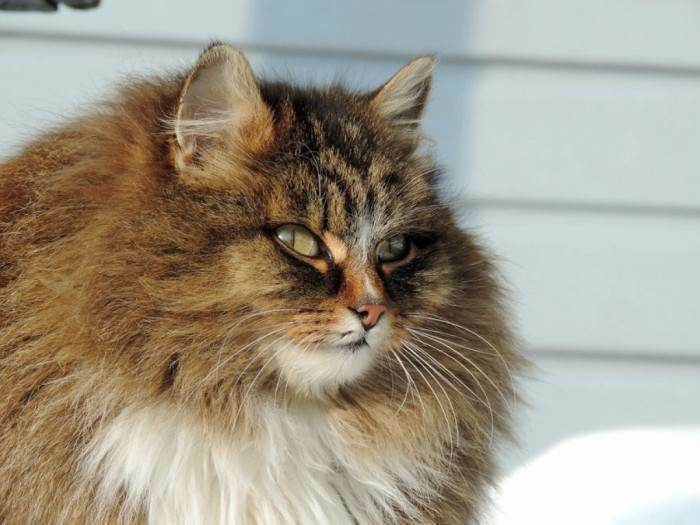 Our cats protect the chickens and rabbits from rats and mice." 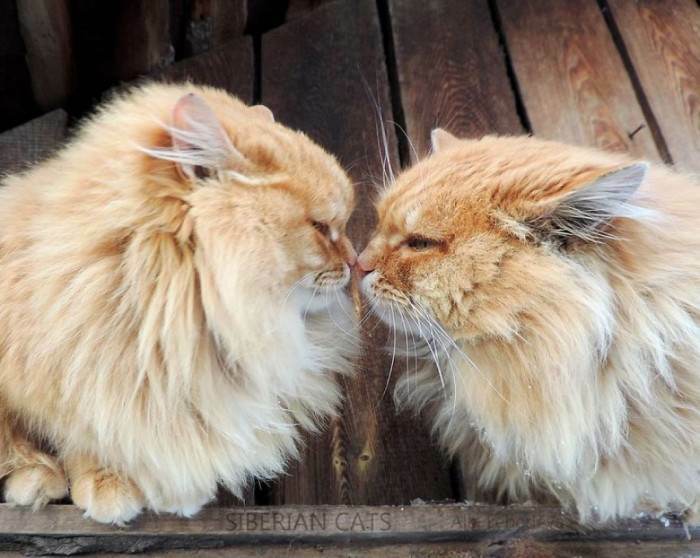 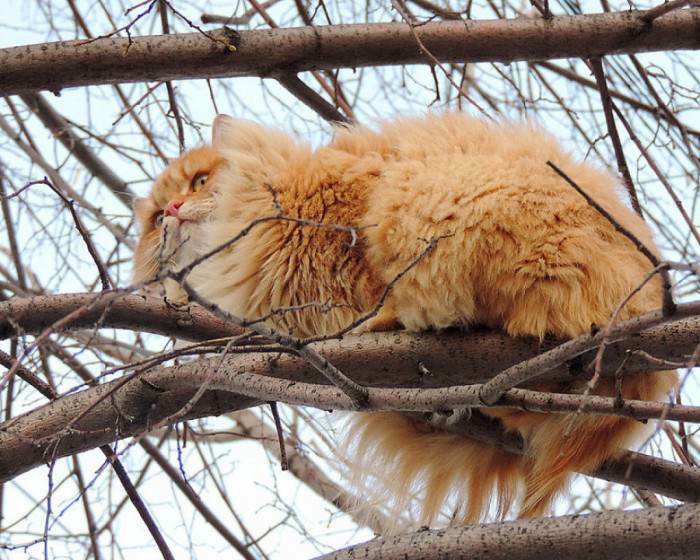 If you're not squealing yet, you will be after you see these adorable cats. 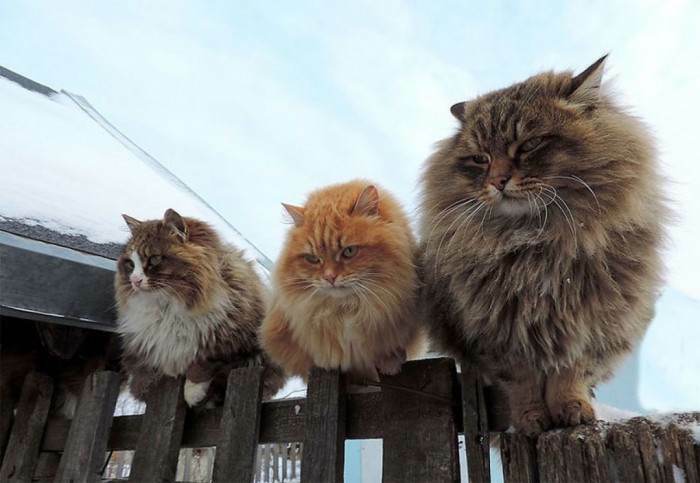 You can also check them out here on Youtube. 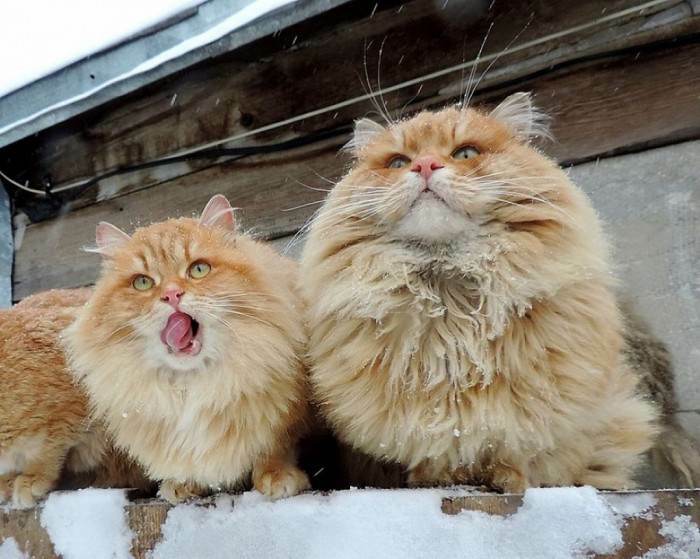 They're looking down on you because they're so awesome. 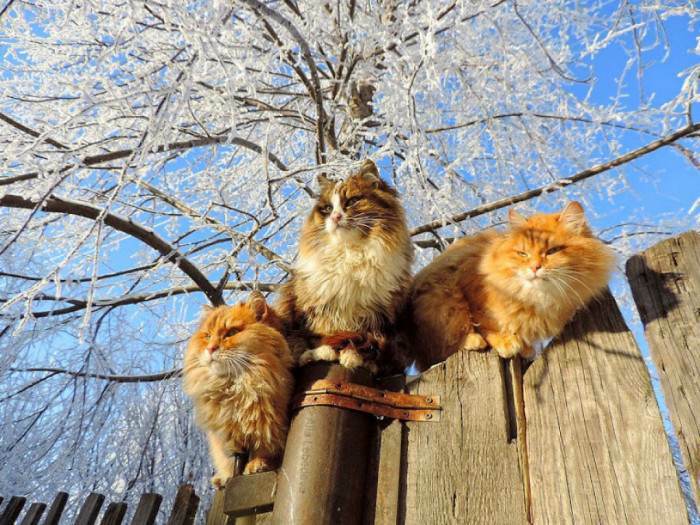 "What a lovely day it is today." 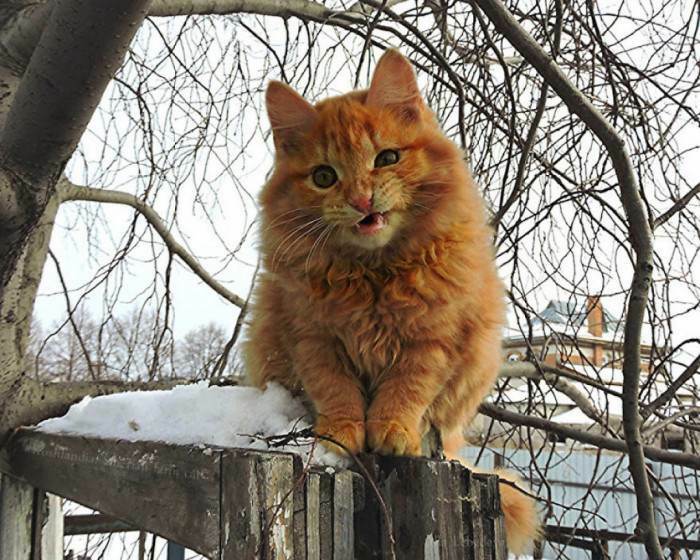 Posing for a glamour portrait. 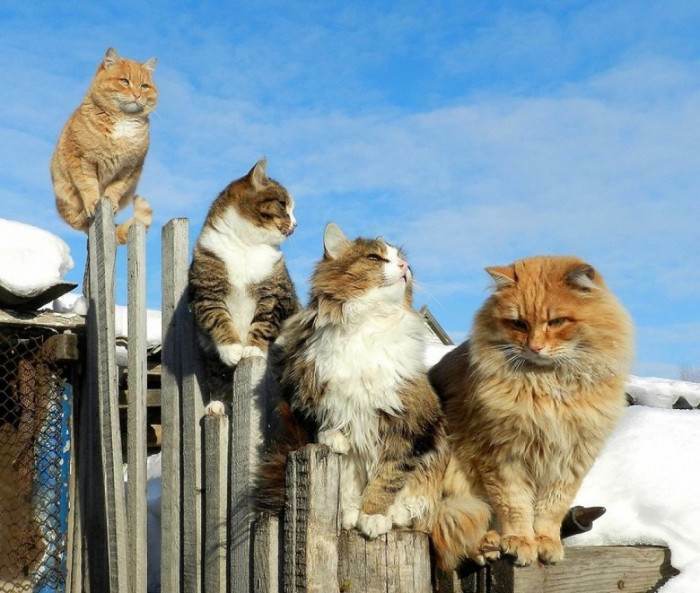 Getting ready to defend their territory as they spot something in the distance. 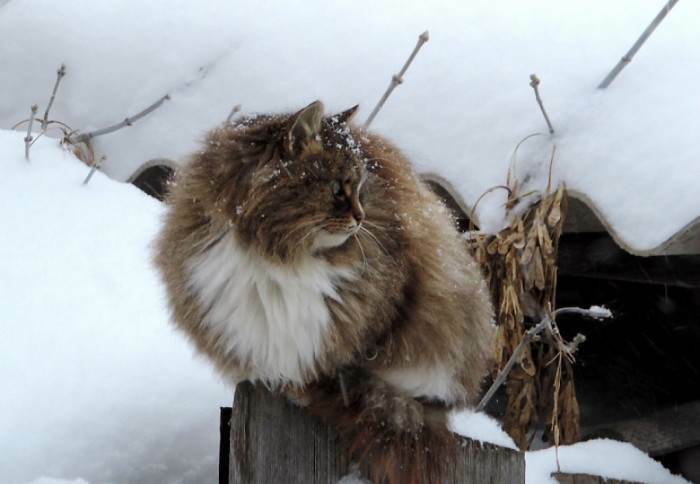 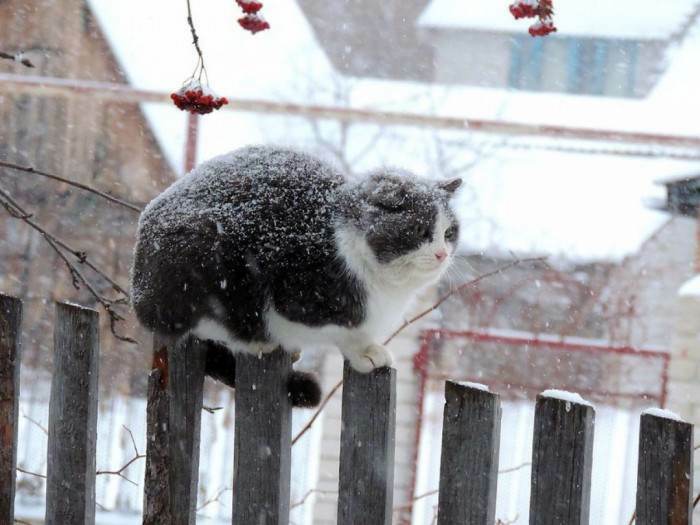 The snow doesn't bother him. 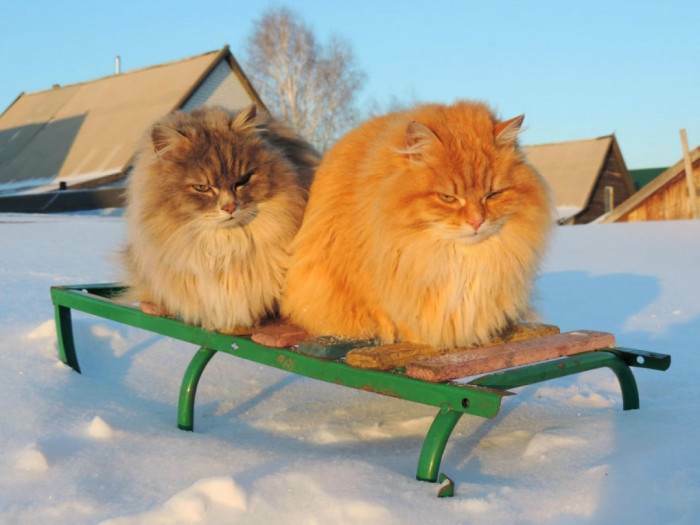 They're going on a trip somewhere. 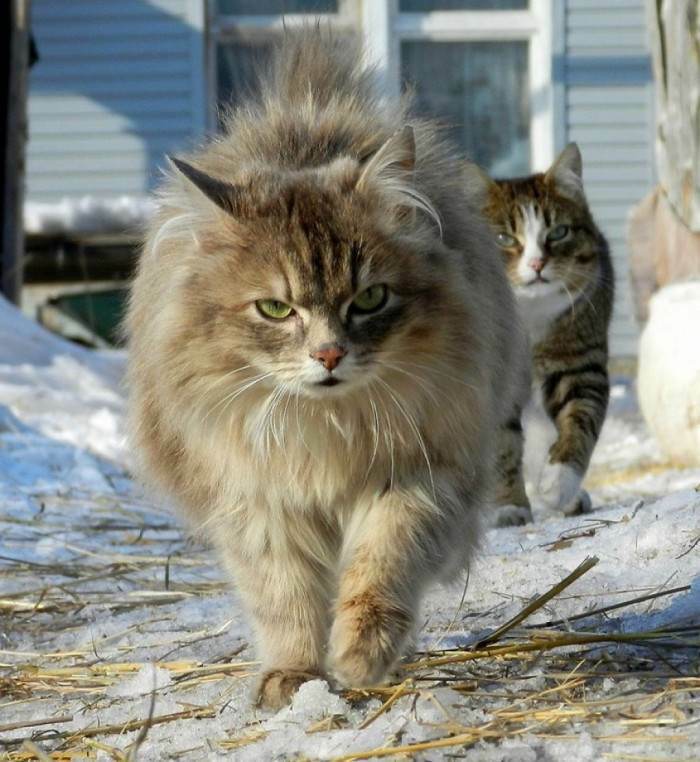 They're the coolest cats on the block.